If two Prescott entrepreneurs fulfill their lofty ambition, they will soon be flying high – literally and figuratively – from Ernest A. Love Field in Prescott to destinations in 13 communities in three states. 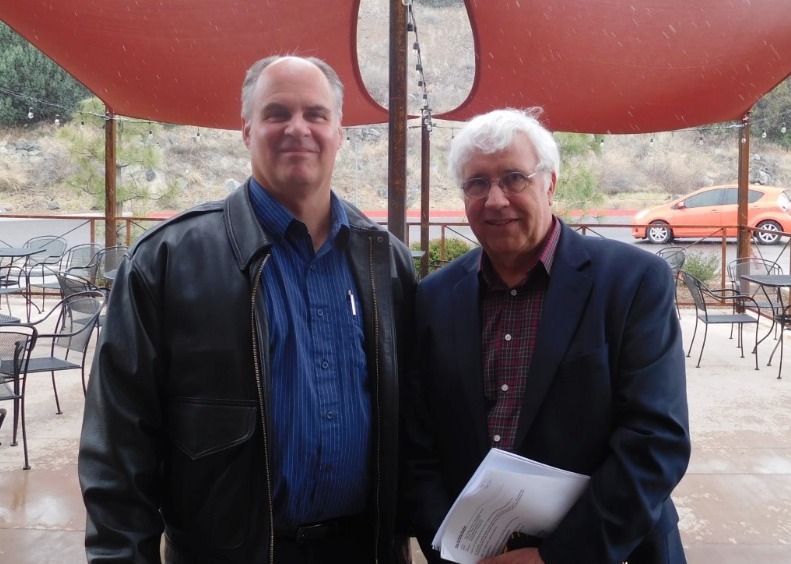 The two – Henry Gellerman, a semi-retired film, TV and financial manager; and Paul Zawadzki, a 737 airline pilot with more than 5,300 hours in aviation – are founding ArizonaHop, an “on demand” charter airline service headquartered in Prescott. The air service is named for the short flights between cities – less than an hour each. They have developed proposed flight routes from the Prescott base at Ernest A. Love Field to North Las Vegas (not McCarran International Airport), Nevada, Cottonwood, Sedona, Flagstaff, Tusayan (Grand Canyon), Kingman, Laughlin-Bullhead City, Wickenburg, Glendale and Scottsdale. They hope, once the air service is ready to expand, also to have flights to Tucson and to Palm Springs, California. The air carrier they intend to use for charter flights will be a Pilatus PC12NG (next generation) single engine turbo-prop passenger plane manufactured in Switzerland. Gellerman says the plane will accommodate eight passengers in absolute comfort – fine leather, excellent wood veneers, attractive textiles. Zawadzki, who graduated from Embry Riddle-Aeronautical University in Prescott, said the Pilatus has the reputation of being the best-selling pressurized single-engine turbine powered aircraft in the world. He noted the plane is mainly used is for regional airline operations and for corporate transportation. The founders explained that fares will be competitive and tickets will be available only online. Hence, only credit cards will be accepted for payment. “We will be marketing in printed periodicals, on Northern Arizona radio, Phoenix and Las Vegas radio. We’ll also be on Facebook and Twitter to share our messages, promotions and contests. Of course, our ArizonaHop.com site will carry all of our air service’s information, promotions and videos,” said Gellerman.